You don't want cheap, cut-corner service, especially when you invite a service company into your home! We carefully clean your carpet, area rugs, tile & grout, and upholstery using only the cleaning processes recommended by the manufacturer. This will result in your items looking, feeling and smelling cleaner... all without a detergent residue and without harming them in any way. We'll give you the best cleaning service ever! Our company offers a 100% guarantee of satisfactory workmanship on all of our services. We can make such an offer because we believe in our carpet cleaning, upholstery cleaning, oriental rug, and tile & grout cleaning services. Our focus and goal is to serve you well -- ALWAYS! 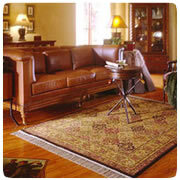 Rely on Complete Steam Services, the leader in carpet, upholstery, and area rug cleaning. We've been serving the Eastern Florida area since 1990. Backed by more than 20 years of experience, our constant goal is to make you happy. So relax while we clean and preserve your home furnishings. 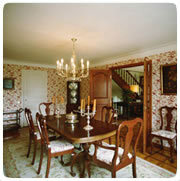 Contact our company today for the best in carpet, area rug, and upholstery cleaning. Spot Removal --rust, wine, coffee, etc.